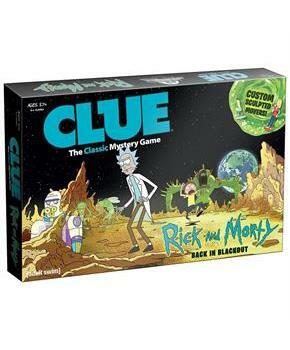 USAopoly presents the Rick and Morty edition of one of Americaâ€™s favorite classic board games, Clue! 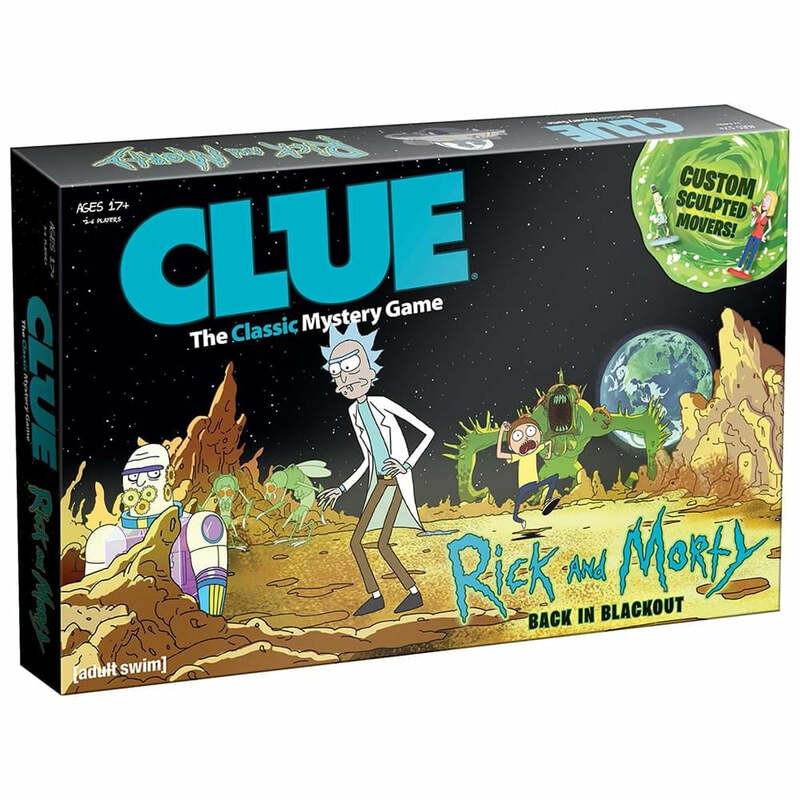 Play as Rick, Morty, Summer, Jerry, Beth or Mr. Poopybutthole as you solve the mystery of who stole the plans to Rick's portal gun! Includes 1 Custom illustrated game board, 6 Custom sculpted character movers, 6 Suspect Personality cards with custom gameplay, 6 Suspect tokens, 6 Weapon tokens, Rumor cards featuring 6 suspects, 9 locations, 6 weapons, 16 Intrigue Cards, Custom score pad, Custom envelope, and Instructions. For 3-6 players.